What does Modicare mean for India's poor and sick? On August, Karishma acquired a new identity. By lottery, she was chosen as the first beneficiary of the world’s largest government health insurance scheme—Pradhan Mantri Jan Arogya Yojana (PMJAY). “First claim raised under #AyushmanBharat. A baby girl is born through caesarean section at Kalpana Chawla Hospital in Haryana. Claim of Rs 9000 paid to the hospital by Ayushman Bharat-Haryana…,” tweeted Dinesh Arora, deputy chief executive officer, Ayushman Bharat, under which PMJAY will be implemented. Her family is already basking in the glory of this superlative. Every breath of Karishma will be now tracked, literally. Her family’s new-found happiness represents what a health insurance scheme means to an economically challenged household. For such families, 70 per cent of spells of ailment are treated in the private sector, which is three times more expensive than treatment in public sector hospitals. It must be remembered that 86 per cent of India’s rural population is not covered under any health expenditure support, according to the National Sample Survey Office’s (NSSO’s) 71st round of survey on health. The Rs 9,000 reimbursement to the hospital, where Karishma was born, is a huge sum given that India’s per capita annual expenditure on healthcare is Rs 13,000. But the challenges are overwhelming. The National Crime Records Bureau says that 0.38 million people committed suicide in India between 2001 and 2015 due to lack of treatment facilities. This is 21 per cent of the total suicides in the time frame. According to NSSO, outstanding loans for health reasons doubled between 2002 and 2012. So it is expected that the roll-out of PMJAY will be a watershed moment for India’s public health sector. 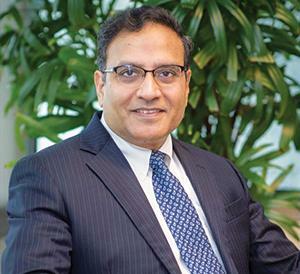 As Amitabh Kant, CEO of NITI Aayog, said recently at a meeting that the scheme would increase the public spending on health to around 4 per cent. At present, it is around 1 per cent, and the government has often been berated for such a low spending. On September 25, PMJAY will be officially launched. The first beneficiary, Karishma, was registered as part of the pilot testing of software to identify beneficiaries. Transaction management is taking place in states and Union Territories that have adopted the scheme. The new health insurance scheme is one of the two initiatives under the ruling National Democratic Alliance’s (NDA) Ayushman Bharat Programme. PMJAY or the National Health Protection Scheme announced in this year’s budget promises an insurance cover of Rs 5 lakh to over 100 million poor and vulnerable families. The family members—around 500 million—would be able to access secondary and tertiary healthcare facilities under this scheme. With this scheme, the government hopes to deliver on its commitment to provide “Health for All” and “Universal Health Coverage” which are the basis of India’s National Health Policy, 2017. The other initiative under Ayushman Bharat is the creation of 0.15 million health and wellness centres across the country. The first centre was inaugurated on April 14, 2018 in Jangla in Chhattisgarh. 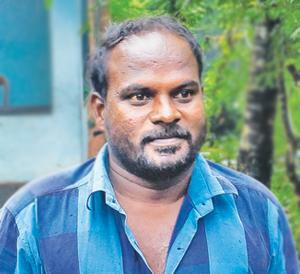 "I took loans for two kidney surgeries. I could not avail the state health insurance scheme becuase I didn't get a card. Officials said they had stopped issuing cards. I do not know how to pay back the loans"
The website of the scheme says the benefits are portable across the country and entitlements would be decided on the basis of the deprivation criteria in the 2011 Socio-Economic Caste Census. Patients can go to both public and empanelled private facilities for treatment and the payments will be done on package rate basis. NITI Aayog has been given the responsibility to create an IT platform to ensure a paperless and cashless transaction. The beneficiaries will not need a special card. Their Aadhaar numbers will suffice. For Prime Minister Narendra Modi, this is an important electoral promise. The manifesto of BJP for the 2014 General Elections promised “health assurance to all Indians and to reduce out of pocket (OoP) spending on healthcare”. While preparing for the grand roll-out in 2016, the NDA government made the promise to cover one-third of India’s population with an upper insurance coverage of Rs 1 lakh per year. The new scheme has increased this limit by five times. The earlier insurance programme, the Rashtriya Swasthya Bima Yojana (RSBY)—launched by the previous United Progressive Alliance government—had not shown impressive results. In the last two years alone, the number of enrolled families has dropped from 41.3 million in 2015-16 to 36.3 million in 2016-17. The participating states too have come down—from more than 25 to 15. PMJAY is haunted by the country’s earlier efforts in health insurance. Health is a state subject under Indian constitution. But the Union government has been playing a major role in terms of budgetary support and launching participatory schemes like PMJAY. By the first week of September, 29 states and Union Territories had adopted PMJAY. In many ways, the scheme’s success is conditional to how states will implement it. On the other hand, states too have been implementing state-funded health insurance schemes. Andhra Pradesh launched the first one, Aarogyasri Scheme, in 2007. Till now, states across India have launched more than 15 health insurance schemes. These include Tamil Nadu’s Kalaignar Scheme, Maharashtra’s Rajiv Gandhi Jeevan-dayee Arogya Yojana, Delhi’s Apka Swasthya Bima Yojna, Karnataka’s Vajpayee Arogya-shree Scheme and Gujarat’s Mukhyamantri Amrutam Yojna. Many surveys suggest that despite these schemes, health insurance coverage stands at 11-12 per cent. There is no centralised data on the amount of claims that have been disbursed. Performances and experiences—both positive and negative—of these schemes are, thus, prudent lessons for the country’s most ambitious health insurance scheme. Down To Earth (DTE) travelled to five states to make sense of these schemes’ performances. Our verdict: these have, so far, failed to help the poor. "When my son presented the insurance card at the hospital, he was told that the formalities would be done the next day. However, when he tried the next day, the hospital authorities said he should have presented it the previous day and said I would not get the benefits of the insurance"
Take the case of Ramudi Bai, a 50-year-old labourer in Chittorgarh district of Rajasthan. In September last year, while working on a road being laid between Bakshi to Mangari, a small religious place in Chittorgarh, she collapsed. She was rushed to the local community centre in Bakhshi, but the treatment did not work. Her family then took her to Sri Siddhivinayak Hospital & Heart Care Centre, a private hospital, 27 km away in Bhilwara. 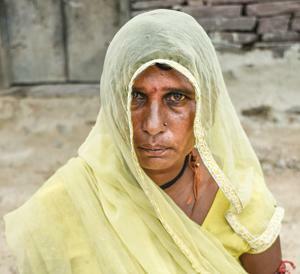 Her family was not worried as Ramudi Bai was a beneficiary of Rajasthan government’s Bhamashah Health Insurance Scheme (BHIS), which provided the family with a coverage of Rs 3 lakh. Her son, Rupesh Kanjar, presented the insurance card to begin the registration process, but the hospital authorities told him that the formalities would be done the next day. The next day, the hospital authorities scolded them for not submitting the card the previous day. Finally, Ramudi Bai was not able to access the benefits of the insurance scheme. The family slipped into a debt trap just like millions of Indians unable to pay health expenses. Her family mortgaged their small piece of land for Rs 30,000. With this, they cleared the dues for the seven days treatment for typhoid. The rest of the treatment was administered at home and the total amount spent on treatment amounted to Rs 45,000. Insurance did not help them much. The government claims otherwise. Ashish Modi, Joint CEO of Rajasthan’s State Health Assurance Agency, says that two-thirds of state population are enlisted in the scheme and 89 per cent of villages have been covered. He doesn’t have an answer for Ramudi’s dilemma. “There is toll-free number given on the website. She should have called in case of a problem,” he says. Rajasthan is not the only state where people do not benefit from government insurance schemes. 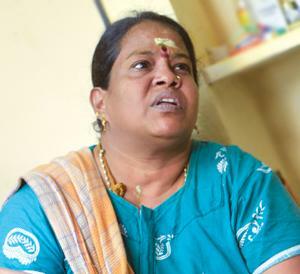 Forty-two-year-old Lakshmi lives in Ganganagar, Chennai, Tamil Nadu, and is a beneficiary of the “Chief Minister Kalaignar Insurance Scheme for Life Saving Treatments” which was later rechristened as “Chief Minister’s Comprehensive Health Insurance Scheme”. This scheme covers 13.4 million families who have an annual income of Rs 72,000 or less and provides a security of Rs 4 lakh over four years (R1 lakh every year). 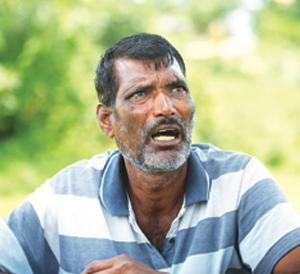 "Though I am a beneficiary of the state's insurance scheme, I had to spend R5 lakh for my treatment. I took a loan for this and my daughter had to leave school"
When Lakshmi, a domestic help, fell sick in January 2016, the scheme did not help and she had to sell all her belongings incurring a debt of Rs 1 lakh. Her daughter had to quit school. Lakshmi is a TB patient. When Chennai was heavily flooded in 2016, she collapsed at her home. She was rushed to a hospital; her family members were told to get the insurance card. They rushed to the kiosk, set up in the collector’s office, for instant approval of the card. There they were told to go to the panchayat or ward and get a certificate that her family was earning less than Rs 72,000 per year. The family completed these formalities and got a 22-digit number. They submitted the number to the hospital and the treatment started. She was hospitalised for around 15 days. She does not know how much money was deducted from her insurance account, but she spent around Rs 5 lakh from her own pocket for pre- and post-hospitalisation treatment. It is not just such lessons from state health insurance schemes that PMJAY has to factor in. It has to reconcile the new ones. For example, the Union government scheme covers only the deprived beneficiaries as per the caste census, thus bringing down the number of people to be covered. But many schemes implemented by states have a wider range of beneficiaries. For instance, Karnataka’s health insurance scheme covers all the residents of the state. That’s why the state has refused to implement the Union government’s scheme though one can interpret it as a political compulsion as is ruled by a Congress-supported govern ment. But BJP-ruled states like Gujarat and Rajasthan too cover more number of people. Moreover, the Union government scheme has 1,350 health packages that will be covered under secondary and tertiary care. States like Rajasthan offers over 1,400 such packages. This raises a vital question: can a state run two parallel schemes? Yes. But that would involve extra funding as under the Union scheme states have to bear 40 per cent of the cost of insurance. This is a catch-22 situation. States can’t tone down their scheme fearing adverse electoral impacts, while they can’t run two schemes due to the cost factor. But for the Union government, facing re-elections in just few months, there is not much time left. Given the financial burden of treatment and the lack of adequate public health infrastructure, any scheme that takes away the burden a bit has huge political dividends to offer. For example, the Aarogyasri scheme is credited for re-election of the then Congress government in undivided Andhra Pradesh in 2009. On August 15, when Modi declared the Union government scheme, Odisha Chief Minister Naveen Patnaik launched his own Biju Swasthya Kalyan Yojana (BSKY). Odisha is one of the six states that have refused to join the Union scheme. And in the state, the BJP is emerging as a rival to Patnaik, whose government will also face state elections along with the General Elections in May 2019. Under BSKY, free healthcare will be provided to seven million families. It covers secondary and tertiary cashless healthcare assistance up to Rs 5 lakh per family per annum. To begin with, not much is known about the details of PMJAY’s roll-out. The official declaration of the first beneficiary, Karishma, was under the preliminary trial run, being implemented in 100 districts across 16 states and UTs. In this trial, only government hospitals have participated. The Union government is in the process of empanelling private hospitals. Overall, the government plans to empanel more than 20,000 public and private hospitals across the country. But public health experts and private players have raised questions over the scheme’s efficacy, budgetary support and most importantly, whether the government should focus more on public health infrastructure, instead of investing in insurance schemes. The first point of contention is on what it offers and how it wants to fund them. PMJAY offers 1,350 medical packages covering surgery, medical and daycare treatment including medicines, diagnostics and transport. But the rates the government is offering is turning out to be a dampener for private players. The Federation of Indian Chambers of Commerce and Industry (FICCI) has compared the government’s average cost of such packages with “market costs”. According to their assessment, caesarean section costs Rs 44,016, while government’s offer is less than one-fourth of this amount. Similarly, for cataract surgery, the government offer is Rs 8,625, while FICCI says it costs three times more. As a result, many private players have declared that they will not join the scheme. In June, representatives of the Association of Healthcare Providers (India) met the head of the Ayushman Bharat to express their inability to join due to this low pricing scheme. Gautam Khanna, CEO of P D Hinduja Hospital, Mumbai, says that his hospital is not going to participate in the programme. This is despite repeated requests from the government to private hospitals to participate in the initiative. On the other hand, small healthcare players say the scheme is a death sentence for them. R N Tandon, Secretary General of Indian Medical Association (IMA), says, “The scheme is likely to kill the small players.” IMA has asked the government to introduce some provisions for doctors practicing independently and small dispensaries. Tandon says the scheme will only benefit big hospitals and insurance intermediaries at the cost of patients and small hospitals. IMA issued a public statement on June 24. The second contention is over the government’s budgetary allocation. Amit Sengupta, associate global coordinator, People’s Health Movement, a global health network, says, “The allocated budget is meagre. While NITI Ayog estimates Rs 12,000 crore will be required to run the scheme, the government has just allocated Rs 2,050 crore.” Other estimates put the cost of the scheme between Rs 20,000 and Rs 40,000 crore. A commentary, published in the Indian Journal of Community Medicine by Harsh Bakshi, Rashmi Sharma, Pradeep Kumar from GMERS Medical College and Dr M K S Medical College, Ahmadabad, estimates Rs 20,000 crore as the cost of running the scheme (see ‘It is not money, but the capacity to spend’). Corruption and malpractices in such schemes are well-known. How is India planning to control this? We have introduced a number of checks and balances to track malpractices. For instance, some health packages are reserved only for public sector hospitals. Although the Indian Medical Association (IMA) has agreed to participate in the programme, they are saying it is impractical to provide quality care at such a low cost. They are still waiting for the proposed final meeting on this. We have been in discussions with IMA and it is correct that they are not fully in the line of our thinking over the package rates. But we believe that package rates are fair. These package rates are at a national level and have provided enough flexibility to states for changing those rates based on their cost structure. There is a lot of confusion over the premium. Do you think insurance companies will participate given the amount you are offering? We expect the premium to be different in different states. For example, Nagaland has already gone for a tender and the premium is Rs 444, which is much lower. We will take a call once we see the premiums across the country. There are different claims about the money required to implement such a big scheme. This is a flagship scheme of Prime Minister Narendra Modi. We have been told very clearly that money will not be a problem. Constrain is not money but the capacity to spend the money effectively and we are looking at the system which can help in spending the money in a right manner. We spend about one per cent of GDP for health which is very low compared to international standards but still we cannot spend that money. Since absorptive capacity is missing, we are trying to build that. This concern spills over to a more nuanced issue: how much premium will the government pay for each person insured? This is important because it singularly decides how many people a state government would like to bring under cover and whether insurance players would come forward to participate in the scheme. Experiences of state schemes reported here flag off this concern. For RSBY, the current maximum premium is Rs 750 for a claim of Rs 30,000. But in case of PMJAY, the government has set a premium of Rs 1,050. Insurance companies find this amount very low to provide coverage. An official involved with Kerala’s insurance scheme points out that this would be more of an issue in states like Kerala where claims ratio is quite high. In 2016-17, the Kerala government paid Rs 175 crore as premium, but ICICI Lombard had to pay Rs 225 crore as claims. In Rajasthan, the government was forced to increase the premium amount from Rs 373 per family to Rs 1,263 due to demands from the insurance companies. Under PMJAY, if just one per cent of the 100 million families insured, say for example, claim up to Rs 1 lakh, the insurance companies have to pay out close to Rs 10,000 crore. According to the Insurance Regulatory and Development Authority of India’s data on incurred claims ratio (premium earned versus pay outs) for government-sponsored health schemes, it went up from 87 per cent in 2012-13 to 122 per cent in 2016-17. The third point of debate is over whether health insurance would alleviate the problem it is supposed to address: to help people tide over the mounting burden of expenditure on health. It emerges very clearly that people are not so enthused with insurance schemes. The reason for this could be that insurance schemes have failed to reduce OoP expenditure, one of the stated objectives of PMJAY. It is well-known that though hospital care is a big expenditure, it is still a very small percentage of people’s OoP expenses on healthcare. They spend much more on illnesses that don’t need hospitalisation and are not covered under insurance, says Chhaya Pacholi, a Rajasthan-based public health expert. Studies are increasingly showing that public insurance schemes have failed to reduce OoP. Chhattisgarh launched RSBY in 2009 and, at present, around 12.5 million people in the state are enrolled. A paper published in journal PLOS One in November 2017 shows that 96 per cent of insured patients visiting private sector health centres and 66 per cent insured patients visiting public sector health centres were still paying money from their pockets in Chhattisgarh. The average OoP expenditure in private hospitals was Rs 10,000 for insured patients, eight times higher than the expenditure in government hospitals. For the uninsured, the average OoP expenditure in private hospitals was Rs 17,900, around 12 times higher in comparison to public sector hospitals. Rajalakshmi Ram Prakash, an independent researcher based in Chennai, in her doctoral research, found that that average OoP expenditure among those who utilised the insurance schemes was Rs 40,000, while it was Rs 30,000 for those who did not use the insurance schemes. A report titled Health and Morbidity in India published by the Brookings India in 2016 reiterates this. The report compared the data from two rounds of survey by NSSO—in 2004 and 2014. This was the period when the government launched many initiatives, including various health schemes reported in this story, to reduce the burden of expenditure on healthcare. 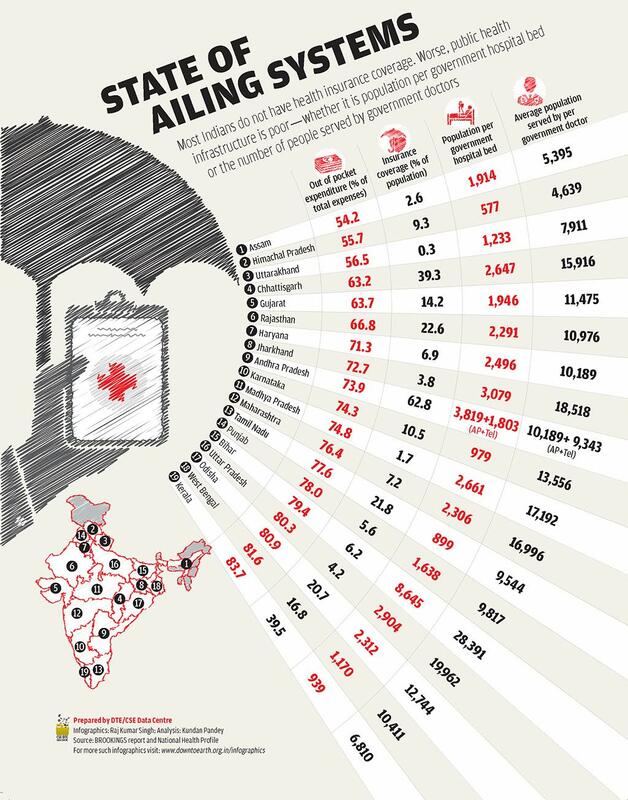 NSSO 2014 round shows there was no relief from increasing health expenditure. In 2004, total OoP expenditure per household was Rs 3,855, which increased to Rs 4,955 in 2014. The major change was noticed in in-patient care where every household was spending Rs 1,104 in 2004, which went up to Rs 1,842 in 2014. This happened despite the fact that all health insurance schemes were focused on in-patient treatment only. When it comes to out-patient expenses, it was Rs 2,751 per household in 2004, which increased to Rs 3,113 in 2014. As per the report, the percentage of households falling below the poverty line due to OoP expenditure remains the same, at 7 per cent, if compared to 2004 when none of these schemes were in place. What is disheartening is that the poorest people in rural India experienced more financial burden in 2014 compared to 2004. While the top four rural quintile groups have not seen any statistically significant change in OoP expenditure over 10 years, the poorest rural population—indicated by the bottom most quintile—have seen an extraordinary increase of 77 per cent in OoP during this time. It should be a concern given the fact that all the government insurance schemes in the country have specifically targeted this segment. Experts attribute this to overdependence on private sector in face of a crumbling public healthcare system. Sylvia Karpagam, a Bengaluru-based health practitioner, says, “Private hospitals’ priority is profit not people’s health.” She also points out that the insurance schemes offer packages that cover the basics only. “Often, empanelled hospitals do not follow the package rates and government is not able to regulate the private sector. For most people, the card that comes with the insurance scheme is like a discount card rather than a cashless one,” says Sulakshana Nandi, a Chhattisgarh-based public health researcher. Rampant malpractices are another reason that dissuades people from joining health insurance offered by governments. In first two years of Aarogyasri, there was huge inflow of patients in private hospitals in Andhra Pradesh. But the hospitals did not treat poor patients at par with normal patients who were paying more. They created separate wards for Aarogyasri card holders which had inadequate facilities. These hospitals also carried out large number of hysterectomies, removal of gall bladder and appendectomies. S V Kameshwari, a gynaecologist in Hyderabad and who exposed a large-scale hysterectomy scam, says that since July 17, 2008, when the second phase of Aarogyasri came into force and allowed hysterectomy, around 27,000 hysterectomies had taken place in just two years. It was so shocking for policymakers that the then Andhra Pradesh government banned all organ removals under Aarogyasri in private hospitals. Such reports are widespread. In July, a local newspaper in Rajasthan reported that from the beginning of 2017, 4,200 patients were admitted in a government hospital in Sriganganagar, and out of this, 2,800 patients disappeared over the next 18 months. It is believed that these patients were convinced to go to private hospitals. The case is under investigation. In 2012, DTE reported that in Samastipur district in Bihar, around 10,000 claims of hysterectomy (surgical removal of the uterus) surfaced after an insurance scheme was introduced. DTE found that while in some cases hysterectomy was performed on underage girls, there were also cases where the organ was allegedly removed from men. Ayushman Bharat guidelines have tried to address these problems. There are some procedures that can be done only in public hospitals. These include treatments like hysterectomy, caesarean section and treatment of mental illnesses. The fourth point of contention is more of a fight over policy choice between insurance and strengthening public health infrastructure. Sengupta says, “This is basically a package care not the universal care as is being claimed by the government.” He has a point if one looks at the experience of Rajasthan. The state launched the Mukhyamantri Nishulk Dawa Yojna before embarking on the insurance scheme. Under this scheme, people get free medicines and diagnostic services in government hospitals. The widely appreciated scheme was so impactful that within three years of its launch, there was 160 per cent increase in patients seeking OPD treatment in government hospitals. And its annual cost was just Rs 300 crore. In BHIS, 849 private and 507 government hospitals are empanelled. Despite the gap of numbers in hospitals, public sector hospitals have treated 1.55 million patients while private sector have treated 1.53 million patients. But private hospitals though treated less number of patients received more money from the insurance companies. So far, hospitals have submitted claims of Rs 1,654 crore and the insurance agency has approved Rs 1,327 crore. Out of the total claims, Rs 1,184 crore went to private hospitals, while Rs 470 crore went to government hospitals, says an official. "Though my mother got the insurance coverage when she underwent a bypass surgery, we could not avail of the insurance for my daughter who is suffering from a respiratory illness"
Similarly, for RSBY, the government has spent around Rs 5,213 crore between 2008-09 and 2016-17. In 2014-15, when the expenditure of RSBY was Rs 551 crore, total public funded insurance scheme cost Rs 4,590 crore. In 2013-14, this amount was Rs 4,757 crores. A back of the envelop calculation shows that both states and Union governments have spent more than Rs 30,000 to Rs 40,000 crore on health insurance schemes in the last decade. Experts believe that if this amount of money was spent on strengthening the country’s health infrastructure, it would have had a long-term impact. But PMJAY can find a solution to this conundrum in Kerala. The NITI Ayog, in its first press conference on the new scheme, said it would emulate the Kerala model. In Kerala, the health insurance scheme has helped revive the public healthcare sector—55 per cent of the total insurance money went back to public health sector. Speaking to DTE, D Narayana, director of Gulati Institute, Thiruvananthapuram, who is a member of the committee evaluating insurance schemes in Kerala, says that when RSBY was implemented, 40 per cent of patients were going to government hospitals and 60 per cent to private ones in Kerala. But within a period of three years, the ratio reversed. Now, 70 per cent of total insurance beneficiaries go to government hospitals. “It has been possible only because of people’s trust in the public healthcare system,” he says. Other experts also underscore the same fact that Kerala and Tamil Nadu have been running successfully health insurance schemes only because of their strong public health sector. In Kerala, every village has a Primary Healthcare Centre (PHC), while in Tamil Nadu, there is a PHC for every 12 villages. Now the question is whether other states can aspire for such level of penetration of public healthcare system. For example, Jharkhand has one PHC for 109 villages and in Madhya Pradesh, one PHC caters to 47 villages (see ‘State of ailing systems’,). But such states have also the country’s poorest population and the health burden is higher for them. Globally, countries with adequate public health facilities have been successful in implementing health insurance schemes. Take the case of Thailand, where the government extensively focused on strengthening the public health infrastructure. In 2000, the Thai-Rak-Thai party formed a government after promising a universal health coverage scheme. In 2001, it introduced the Universal Coverage Scheme. At this point in time, one in four in Thailand were uninsured. But its success in rolling out the insurance scheme was preceded by decades of focus on public health system in rural areas. In fact, in a drastic step to avail rural areas more health infrastructures, it stopped all capital investment for health in urban hospitals during 1982 and 1986. It yielded results: 95 per cent of total beds are in public sector and government can dictate the terms and conditions to private sectors. “In Europe, too, the system is good,” says Denny John, an evidence synthesis specialist from Campbell Collaboration which is engaged in evidence-based policy formulation and has offices in Oslo, Norway and New Delhi. There is a treatment protocol, thus, a patient going to any hospital gets a similar treatment for a disease. He says that India’s new scheme will lead to more corruption in comparison to RSBY, because it offers more money. “I incurred a debt of Rs 1.5 lakh for my first delivery.” The new scheme that paid her back within 15 days for her second delivery is definitely a much-needed respite. But millions like her will still have to endure India’s pathetic public health infrastructure and the tedious implementation of health insurance schemes. And both are interrelated. 1948 | The first Employee and State Insurance Act was passed. 1954 | Central Central Government Health Scheme (CGHS) is launched. 1972 | The General Insurance Business Act 1972 was passed to set up the General Insurance. In 1973, General Insurance was nationalised and the government consolidated 107 insurers under four companies. 1986 | These companies started the Mediclaim policies for government sector companies. 1999 | Insurance Regulatory Development Authority Bill passed. This bill opened the sector to private and foreign companies. 2007 | Andhra Pradesh introduced Rajiv Aarogyasri Health Insurance Scheme. 2008 | National Health Insurance Programme or Rashtriya Swasthya Bima Yojana (RSBY) was launched. Kerala too launched the Comprehensive Health Insurance Scheme on the lines of RSBY. 2009 | In Tamil Nadu, the Chief Minister Kalaignar Insurance Scheme for life saving treatments was launched, which was later renamed as the Chief Minister's Comprehensive Health Insurance Scheme in 2012. 2009 | Karantaka launched Vajpayee Arogya Shree Scheme. 2012 | Gujarat launched the Mukhyamantri Amrutam Yojna. The same year, Rajiv Gandhi Jeevandayee Arogya Yojana was launched in Maharashtra. It was renamed as Mahatma Jyotiba Phule Jan Arogya Yojana in 2017. 2015 | Rajasthan launches Bhamashah Health Insurance Scheme. 2016 | The Rashtriya Swasthya Suraksha Yojna is announced, but never implemented. 2018 | Pradhan Mantri Jan Arogya Yojana launched. 1946 | A committee headed by Sir Joseph William Bhore proposed a National Health Service which would provide universal coverage to the entire population free of charge through a comprehensive state-run salaried health service. This has been termed as the most comprehensive plan document. 1980 | The 6th Five Year Plan talked about roping in private sector in healthcare. 1983 | India got its first National Health Policy which called for an expansion of the private sector to reduce the burden on public institutes. Subsequently, the country experienced a phenomenal expansion of the private health sector. 1985 | The 7th Five Year Plan encouraged specialties and super-specialties in both the public and the private sectors. This push continued in the 8th Five Year Plan too. The plan specifically asked the government to support private initiatives, private hospitals and clinics. 1997 | The 9th Five Year Plan suggested that involvement of voluntary, private organisation and SHG in the provision of healthcare should be increased. In the next plan, there was a discussion about handing over the PHCs to NGOs. 2007 | In the 11th Five Year Plan, it was decided that the Rashtriya Swasthya Bima Yojana would be launched to provide insurance cover to people below the poverty line. 2012 | The 12th Five Year Plan encouraged cooperation between the public and private sector in achieving health goals and pushed for PPP models. 2017 | NITI Ayog replaced the Planning Commission and promoted private health care. For example, it developed a draft framework to let private hospitals run selected services in government district hospitals. (This article was first published in the 16-30th September issue of Down To Earth under the headline 'A contentious solicitation'). Can Ayushman Bharat succeed without regulating private hospitals? Can Ayushman Bharat reduce out-of-pocket expenditure?